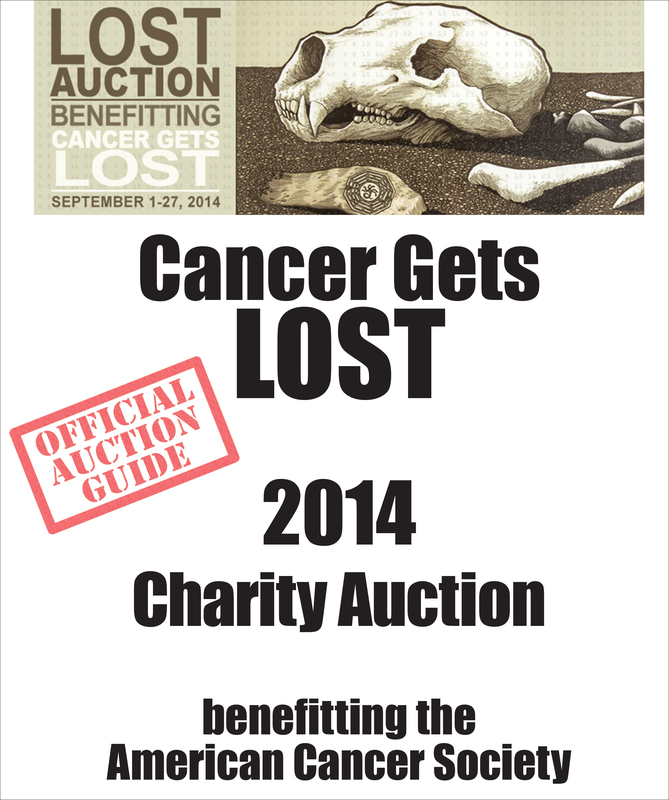 The official 2014 Cancer Gets LOST charity auction was hosted by Blacksparrow Auctions. 100% of the proceeds from all CGL items sold in the auction were donated directly to the American Cancer Society, and a portion of all proceeds from a few items consigned by Blacksparrow were also donated to the ACS! All auction items were very clearly designated as Cancer Gets LOST or consigned Blacksparrow items. * This auction was dedicated to the memory of Amy Jensen, wife of our good friend Jeff Jensen from Entertainment Weekly. Amy passed away in June of 2014 after bravely battling brain cancer for many years. We were honored to be able to raise money for an organization that offers support for families like the Jensens.